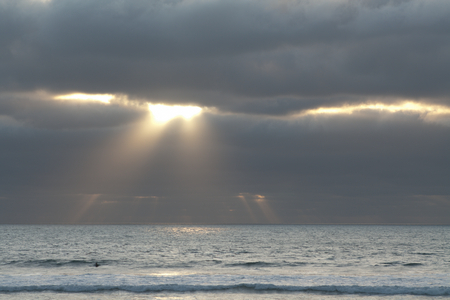 The image above was taken one year ago near San Diego, California. It causes me to think of persistence, hope and determination; of hanging on and striving to achieve a goal in spite of forces that would block one’s advancement. The remainder of this post discusses photo processing. Primarily I wish to demonstrate, to photographers who do not yet process their images, that such processing can produce dramatic improvements. In fact, for RAW format digital images, processing is a requirement to achieve a quality final image. I am specifically addressing RAW format images here. Jpg images, which are processed within the camera, usually look much better than RAW images when initially downloaded. However, jpgs record much less image information than RAW files. Because of this, jpg file/format images have little tolerance for post-processing, if a person wants to make changes later. You can think of RAW file images as the negatives used in film photography and manipulated in the darkroom. They allow many different interpretations and adaptations, depending on the mood/goal of the photographer. This is why almost all professional photographers shoot using the RAW file format. This is the original, unprocessed middle image of the set of three images used to make this panorama. I include it to demonstrate how much difference was made by the processing. Using Color Efex Pro 4, the “dark contrast” filter was applied twice globally. Then the “brilliance and warmth” filter was applied centrally to the sun rays and a mild vignette effect was added only at the sides. (All of these changes can be done with Photoshop Elements alone. Color Efex Pro 4 just makes it much quicker and more convenient.) The most difficult and time consuming part of the processing was getting the waves aligned in the three different parts of the panorama (In the time that it takes to swivel the tripod head for the next frame of the panorama, the waves move closer to the beach). Using Photoshop Elements, the waves were properly aligned with a combination of copying and pasting and by cloning waves in the following modes: hue, lighten, darken, and normal. (The clone stamp tool has options for many different modes besides “normal”; such as hue, saturation, color burn and doge, overlay, soft light, lighten, and darken, multiple and others.) Nik Sharper Pro 3 for display output was used except for the water which became distracting. Now the image (shown at the top of this post) looks like a remember it. There is so much improvement between the original, unprocessed RAW images and the final image (at the beginning of this post), that it is fair to say that the processing rescued it from being deleted from the catalog. I welcome comments and criticisms. I am available to help people to transform their nature images from boring to impressive. My personal web site is NaturePhotoRehab.com, although it is easiest to reach me via this blog. This entry was posted in Digital imaging, Digital Photography, Nature Photography, Photographic technique and tagged digital imaging, digital photography, nature photography, photo processing, photographic technique. Thank you for your kind compliment and for taking the time to leave a comment. I think people forget that before digital there was a darkroom and printing process that was as significant part of the art of the photograph. Really the various types of imaging software are basically digital darkrooms in which the composition reaches he final form. You are welcome. I totally agree. Nice work and I like that you included the before pic. What a difference! Thank you very much. Your recommendation that I include a “before” image was excellent. I have also included an original frame in my post of Feb 11 which is entitled “Wave of Stone”. I am simply shocked at the difference. I really like the contrast that you brought out in the clouds; their imposing moodiness brings out the vibrancy of light rays even more. How long does it take you to process an image (or in this case, a set of images) to a final version? Heather, thank you for your compliment and for taking the time to comment. About every 6 months I redo the processing of that panorama. It is able to create very different moods/feelings. Simply making a three frame panorama used to take me 45 min, now it’s about 20 min. The processing for contrast, color and counteracting wave motion artifacts takes about an hour (Would have been two hours a year ago).